Nose: Strong coriander seed, providing aromas of citrus and a malty breadiness. This is accompanied by a touch of sweet fennel. Palate: Complex citrus: a combination of zesty peel and the more leafy citrus of lemon verbena and lemon thyme. These notes develop into woody spice, including ginger. Finish: More spice that is slightly peppery, but with the complex elements of cassia and grains of paradise. Comments: A strong citrus gin and a good all-rounder, equally well-suited to a Martini or a Gin & Tonic. Nose: Juniper, angelica, orris, coriander, liquorice, lime and rhubarb just busts out of the glass. 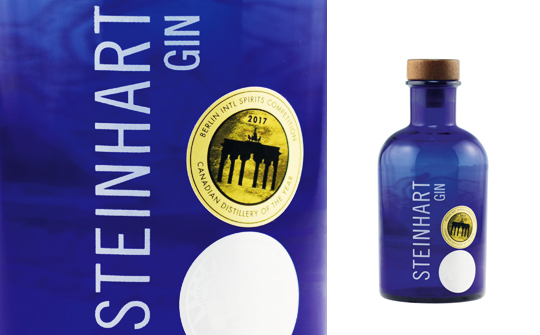 Palate: A superbly strong, oily and complex hit of traditional botanical flavours. Earthy and herbal notes nicely balance the citrus bite. Finish: Fresh, tingling and long with citrus fruits and black pepper corns. Comments: A crisp and bracing gin that despite its high ABV is easy to sip and would exceptionally work well in a traditional G&T or dry Martini.